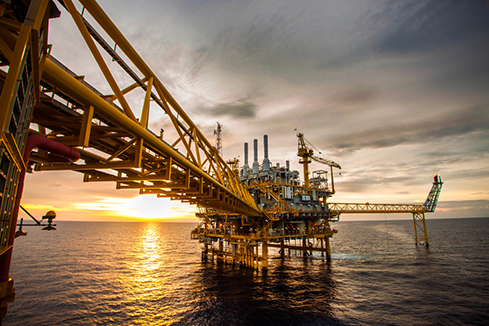 The Oil & Gas industry is undergoing a massive physical-to-digital transformation. Industry 4.0 - Industrial Internet of Things (IIoT) is being driven by the need to improve operational efficiency and productivity, reduce downtime, maximize asset utilization, along with the explosion of connected devices and platforms. In order to succeed, Oil & Gas companies need the right people, processes, and technology in place to grow sales and deliver a more personalized service to their customers. Drive down costs and proactively react to customer needs using remote asset monitoring, wearables, and advanced diagnostics through augmented reality. Do you work in the Oil and Gas sector? Are you a COO, CIO, CFO, CEO, IT Director? Have you been tasked with guiding your organization through its long-term digital transformation? If you answered yes to any of these questions, we highly recommend you attend this event. Mark brings extensive IT leadership that has spans a wide range of industries, countries and cultures. Mark started his career after his studies in electrical engineering and computer science. Mark entered the technology marketplace as IBM was releasing their first personal computer and worked with AST Computers and then Western Digital to establish prominent positions in the early and evolving days of the personal computing marketplace. Following that, Mark spent 10 years in higher education as the Director of IT at Catholic University and CIO at Georgetown University. Mark was then hired as the first-ever CIO for Goodwill Industries; a $5 billion-dollar non-profit organization with over 3,200 retail stores and 50,000 employees, where he led the implementation a global ERP platform to support supply chain, warehousing and distribution, sales and CRM. In 2002, while living in the UK, Mark started several companies, including The Virtual CIO management consulting firm. As the “Virtual CIO,” he has served a range of clients such as BP, Dixons Group and Fortress Private Equity, Intrawest, Teck Resources, Finning International, Rocky Mountaineer and Saxx Underwear as a global CIO/CTO/VP leading cross-functional teams and strategic implementations such as real-time data analytics from equipment and sensors HRIS, ERP, Ecommerce, CRM, Enterprise Architecture, Security and PMO/Change Management. He has a strong track record of building relationships and credibility with business leaders and key stakeholders and driving technology initiatives and transforming to meet the business goals and objectives.